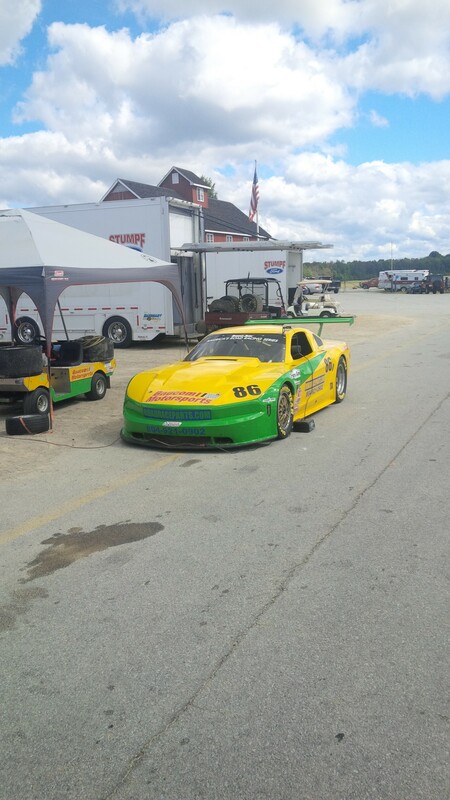 The Trans Am series ran at one of our favorite tracks yesterday, VIR near Danville, Virginia. Actually its outside Milton, North Carolina but nobodies heard of Milton. Run in conjunction with the SVRA the series put on a great event as usual. The field of cars appears to be getting better , at least at the more popular venues. The top four cars were only separated by .4 seconds or so in qualifying and that carried over to the race. So a few quick observations from the day, with apologies to anyone not included. – Congratulations to Simon Gregg and everyone at Derhaag Motorsports. Simon was consistently smooth and the fastest all weekend. A well deserved win. – Amy Ruman’s mechanical in the first couple of laps separated the field, and appeared to hand Simon the win. The late race caution changed that however. – Only two of the TA2 cars were ex-stock car Monte Carlo’s. Remember when everybody thought they were going to dominate that series. – The TA2 field was exclusively GM, not a Ford in sight. Will be good to see some out there as we go forward. – The TA3 field was also without any GM products. Would be equally nice to see some of them in the field here. – the Corvettes seem to be slightly better down the long straightsat VIR than the Fords. Just an observation, no radar data to back it up. Aero or HP? – For those who don’t like to look at their gauges, it only took one of the cars that spun on Amy’s fluid two laps to peg both oil and water temp gauges. – For those who have older cars, you may want to go over it and look for things to remove. One competitor told me they saved 55 pounds by going over their car with a fine tooth comb. All the fans, rear wheel tubs, cover over the rear frame, etc. that had been added over the years. Performance improved after that. – The top cars don’t break. Take care of it at the shop not the track. All in all a great weekend, good to see the series is growing at least in the car count. Come out and see some of the best road racing in North America.